This step represents the cornerstone of their commitment to create the entertaining, educational, and cultural structures this project represents. 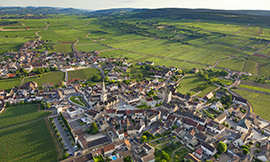 Their seal of approval confirms the financing plan and launches the operational phase for these three Cités des Vins structures that will become key vectors for the promotion of the Bourgogne region, its wines, its traditions, and its Climats. The sites in Beaune, Chablis, and Mâcon will reflect the local offer and allow visitors to discover the many different aspects of our region from north to south. A project management consultant has been selected by the city of Beaune in partnership with the BIVB to prepare the launch of a tender process for architects and designers for the Cité des Vins in Beaune, in early 2018. In parallel, the BIVB is launching a call for architectural projects for the renovation and extension of the sites of Chablis and Mâcon. The jewel of the Côte de Beaune, Meursault has enjoyed an international reputation for millennia. The Abbey of Cîteaux has grown vines here since 1098! The next edition of “Rendez- vous avec les vins de Bourgogne” is dedicated to the Meursault appellation, and will screen on 31 January. Meursault produces almost exclusively white wines from around 400 hectares, including 105 of Premier Cru, at a height above sea level of between 230-360m. The soil has the same Comblanchian limestone that can be found in Nuits-Saint-Georges, along with a large variety of clay and clay marl. The landscape is fascinating in these parts, allowing winegrowers and négociants to work with the Chardonnay varietal across a huge variety of Climats. There are a few reds from Meursault, produced from just 13 hectares of Pinot Noir. These rare treasures can be obtained from a handful of producers. Indeed, Meursault represents a microcosm of the diversity of Bourgogne wines. 31 January, the “Rendez-vous avec les vins de Bourgogne” show, broadcast by the BIVB live around the world, will be entirely dedicated to the Meursault appellation. Jean-Pierre Renard, Stéphane Follin-Arbelet, from the Château de Meursault, and Marion Javillier from the Domaine Patrick Javillier, will explore all the different aspects of this wine that is the ideal accompaniment to veal, capon, grilled shellfish and seafood in sauce, or simply as an aperitif. “Rendez-vous avec les vins de Bourgogne” will be screened through 17 sessions in 10 countries, namely USA, Canada, South Korea, Taiwan, Hong Kong, Norway, UK, Ireland, Germany, and Belgium. They are mainly organized by Bourgogne Wines Official Ambassadors. For the first time, the WSET School of London will be taking part in the broadcast. Over 400 people will be joining in one of the sessions which will screen at 9:00am, 11:00am, 6:00pm, and 10:00pm in English, and at 4:00pm in French (CET). To find out more about the “Rendez-vous avec les vins de Bourgogne” show and our Official Ambassadors, don’t hesitate to contact us. Rather than suffering from the effects of Brexit and low volumes of available wines, sales of Bourgogne wines continue to grow in the UK. Exports of Bourgogne wines continued to grow in 2016, with sales of 15.9 million bottles (up 7.4% on 2015). Export volumes, however, remained historically low. This seems to be the result of several factors: The market is a tricky one for certain appellations, lack of available wine for other appellations, successive increases in taxes on wine, and the economic impact of the looming Brexit. Revenue also followed this upward trend, with two successive years of growth (up 11% year-on-year in 2016, and 4% in 2015). For the first 10 months of 2017, the potential for an upsurge in Bourgogne sales in this market was impacted by the low harvest volumes in 2016 in the Chablis region. As such, exports fell 6.2% by volume over the period. Revenue continued to grow (up 11.4% over the same period in 2016). VinoVision Paris, the trade show dedicated to cool-climate wines, returns for its second edition from 12-14 February, with Bourgogne wines fully present at the show! • Bourgogne wines: Singular and unexpected - Tuesday 13 February from 12:45pm to 2:00pm. Registration is required for these masterclasses, reserved for market influencers (sommeliers, wine-store owners, restaurateurs, buyers, dealers) and can be done online via the VinoVision website. In 2018, 500 exhibitors and more than 5,000 French and international specialists from a range of distribution circuits in the wine industry, including import/export, hotel and catering, wine-store and specialist-store owners, major retailers, and online retailers, are expected. 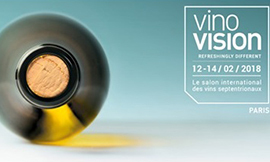 VinoVision Paris runs from 12- 14 February 2018 at Paris Expo Porte de Versailles (Hall 4). The BIVB is launching a new website that is user-friendly and packed with information to meet the needs of trainers around the world. Ergonomic, easy to navigate, and constantly evolving, this new website is perfect for any wine professional planning a training session featuring Bourgogne wines. Structured around their needs, it contains plenty of educational resources including training materials, videos, maps, and brochures, along with the latest news from the vineyards and all the BIVB’s most recent press releases. The site is the ultimate resource for trainers from international bodies such as WSET, WSG, or SWE, along with teachers from hotel schools and anyone else looking to inform and educate on all things involving Bourgogne wines. Check out the educators area of the Bourgogne wines website or click here to create your account now. 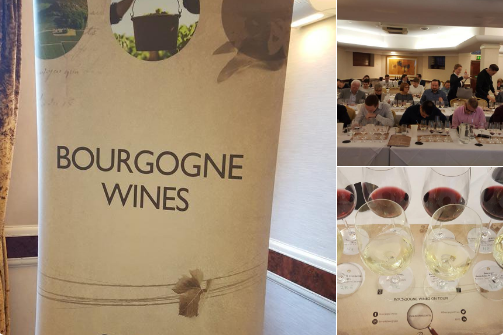 For the third consecutive year, the BIVB is running its highly-successful “Bourgogne Wines on Tour” event across the UK. A total of six sessions will be hosted in partnership with The Drinks Business magazine, allowing wine-store owners, importers, wholesalers, and sommeliers to rediscover the wines of the Bourgogne region. Michelle Cherruti-Kowal, MW, will discuss a selection of eight lesser-known Bourgogne appellations that are ideally suited to the British market thanks to their excellent value for money and easy accessibility. The selection comes from the BIVB’s Cave de Prestige, an annual selection from all the wines produced in the region. 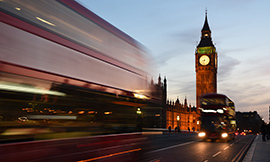 A first session was held in November 2017 in Bournemouth, and the tour continues on 16 April 2018 in London and 5 June in Cambridge. 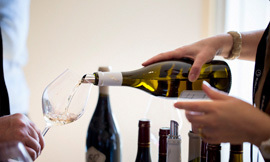 Specific sessions dedicated to Chablis wines will present the stylistic nuances of two of the area’s appellations, namely Petit Chablis and Chablis, through a tasting of eight wines. These will run in Edinburgh on 5 February, Bristol on 5 March, and Glasgow on 14 May. Bourgogne appellations – it’s a tricky job to count them all! The diversity of Bourgogne wines isn’t a legend. It’s a heritage. Cultivated for two millennia in the Bourgogne region, the vines here have revealed their specificities over time. First monks, then winegrowers identified the characteristics of the different terroir that, from 1963 onwards, began to be classified according to the Appellation d’Origine Contrôlée (AOC) system. The result is a delightful patchwork of vineyards, known as the Climats, that were listed as UNESCO World Heritage in 2015. For many years, the Bourgogne winegrowing region has talked about being home to 100 AOCs, but this was not strictly speaking accurate. If one looks at the official appellation specifications, one will see that the Bourgogne region is in fact home to 84 AOCs, including seven Régionale AOCs, 44 Village AOCs (including the most recent addition of Vézelay), and 33 Grand Cru AOCs. This figure represents 23% of the total number of AOCs in France. The specifications of the Bourgogne and Mâcon AOCs identify certain sectors that enjoy a Dénomination Géographique Complémentaire (DGC) which specifies a more restricted geographical provenance. There are 14 DGCs in the Bourgogne AOC (including the new Bourgogne Côte-d’Or, which was created in 2017; Bourgogne Côte Chalonnaise; Bourgogne Hautes Côtes de Beaune; Bourgogne Hautes Côtes de Nuits; and Bourgogne Chitry) and 27 within the Mâcon AOC (including Mâcon La Roche Vineuse; Mâcon Lugny; Mâcon Uchizy). There’s always more to discover in the Bourgogne winegrowing region! The date has been set for the Bourgogne wines rendezvous in Hong Kong. 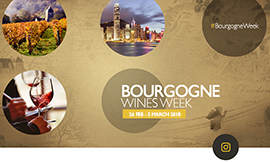 The first industry event after the Chinese New Year, the next edition of Bourgogne Week will be promoting the 2016 vintage. Join us from 26 February to 2 March for some prestige events, tastings, and promotions. The rare yet highly-prized 2016 vintage, hailed by the British during Bourgogne Week London in early January, will be unveiled in Asia during Bourgogne Week Hong Kong, which runs from 26 February to 2 March 2018. The event is organized by the BIVB, which hopes to repeat the success of the London version, and includes a range of initiatives to bring together importers, press, and market influencers around the theme of Bourgogne wines. The highpoint of Bourgogne Week Hong Kong, this is the fourth edition of the One Day for Bourgogne Wines tasting event. The BIVB invites importers to present press and sommeliers with the new wines coming to market in May. These are mainly from the 2016 vintage, but also include a few wines from 2015 and even 2014. It’s the perfect chance for the press to form an opinion and for market influencers to discover some lesser-known appellations and sign off on their first orders! By invitation only. Another highpoint of the week, the Chablis White Cocktail embodies the unique conviviality of Bourgogne wines in a prestigious evening event dedicated to the different Chablis appellations across several different vintages. For press and market influencers. By invitation only. 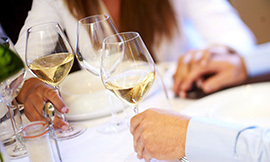 In parallel, the BIVB invites local market players to organize their own events, such as dinners with producers, tastings, and restaurant promotions. These are all promoted by the BIVB in its marketing materials and in particular, on the dedicated Bourgogne Week website, which comes online mid-February. The visibility of these operations will also be boosted across social media with the #BourgogneWeek hashtag. An original idea for the perfect gift for a loved one who loves Bourgogne wines: A gift voucher from the École des Vins de Bourgogne. There is a wide range of courses on offer at the École des Vins de Bourgogne, for both beginners and those already experienced in the world of Bourgogne wines: There’s something for everyone and plenty to share. • Sensorial Day: Tasting is a delicate process that requires every sense, and sight, smell and taste in particular. This one-day session will introduce you to all the secrets of the aromas of Pinot Noir and Chardonnay, and help you express your sensations through words. • Les Climats de Bourgogne: what is a Climat? And what part does it play in the diversity of Bourgogne wines? This day-long session will help you fully get to grips with the notion of Climats in Bourgogne. UK – 5 February in Edinburgh, 5 March in Bristol, 14 May in Glasgow: “Chablis on Tour” masterclass for sommeliers and independent wine-store owners, dedicated to the Petit Chablis and Chablis Village appellations. A week of events involving Bourgogne wines hosted by importers, wine-store owners and restaurants in Hong Kong. HONG KONG – 1 March: Chablis White Party, part of Bourgogne Week, for press, importers, distributors, resellers, wine-store owners, sommeliers, F&B managers, etc. The BIVB invites importers to present the new products coming to market to journalists and market influencers. By invitation only. BELGIUM – 23 April in Brussels: “Mâcon + village name”? Behind the appellation, the Mâcon name hides a real diversity of villages that are growing in popularity with wine lovers. We invite you to discover a sample of this appellation during a trade-only masterclass. The event will be followed by a free tasting of 25 Bourgogne appellations that are still little known on the Belgian market. All events proposed by the BIVB are free.